MDM is the default display manager for Linux Mint. It beautifies Ubuntu’s default boring Login Screen and make it easy to change themes. You’ll be prompt to choose MDM as default display manager. After that, you can download MDM themes from gnome-look.org and install them via MDM Preferences utility. It appears that this will not work — there is already a package in Ubuntu 13.10 called mdm — the Middleman system. between commands so that they run in an appropriate order. find, make, any shell, together, in a script or interactively. Ubuntu 13.10 is not supported now by launchpad PPA. Thanks man! I’ll report this bug in launchpad. 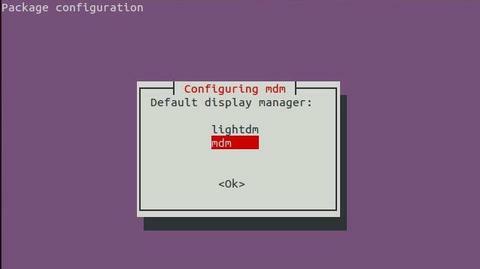 As an alternative, use the deb from this page to install mdm display manager on Ubuntu 13.10.